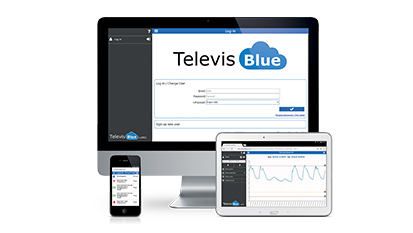 TelevisBlue is the innovative system for monitoring with M2M connectivity included, completely cloud-based, intended for small and medium-sized installations. Designed for Tablets and Smartphones, it allows you to access all the installations from a single point making the information easily accessible at any time. The use of the TelevisBlue product and service is subject to the acceptance of the terms of service on the site www.televisblue.com/terms. 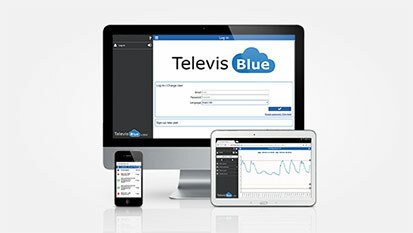 For more information on system characteristics, countries where the service is available, and connectible controllers, see the online manual and appendices at www.televisblue.com/help.